Director Shane Black has upset people before. Many fans strongly disliked his addition to the Iron Man franchise with claims that the film’s interpretation of The Mandarin butchered one of the most feared villains from the comics. I personally found Iron Man 3 to be pretty enjoyable – sure it wasn’t challenging – but I didn’t expect the third in a series about Downey Jnr flying around in an iron suit to be overly challenging. It’s fair to say I went into The Predator with similar expectations – just keen to watch a visceral action film with some amazing set pieces and hopefully a jump scare or two. Advertised as an adventure/horror/action and it feels as though its part sequel, part reboot. 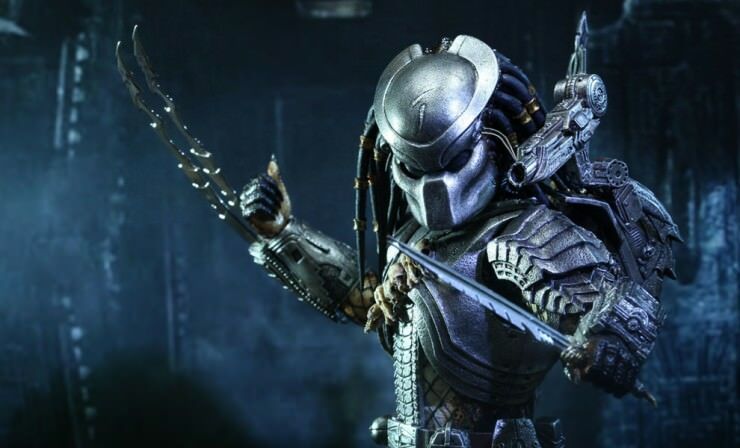 The story vaguely continues from the original two Predator movies (and by that I mean that the two previous visits from these ‘Predators’ are mentioned in passing at some point in the film). The storyline takes no time to introduce the film’s namesake – a large, foreboding hunter from outer space with dreadlocks and shoulder-located rockets, the ability to camouflage and a mouth like a crab’s bum. However on this rare and unexplained occasion, said alien is actually coming to Earth to protect us from an even bigger version of himself (that has evolved through evolving) because he empathises with humans and doesn’t want us to be destroyed (for absolutely no reason at all and despite the fact that human destruction was their only objective in all the other Predator films). We then meet a madcap group of unlikely heroes who are flung together to be the only defense Earth has against this giant(er) Predator. Not only this, but they also have to deal with an unnecessarily (and constantly chewing – what a villainous trope!) dickheaded bad guy. It’s fair to say that just about everyone’s motives – whether they be good human, bad human, good Predator or bad Predator – are fairly vague and uninteresting cliches. But this doesn’t matter – it’s a bloody action film! As long as the action is violent and well paced and visually pleasing with a feeling of the stakes being high then who cares about the story! Am I right? *Audible sigh*. 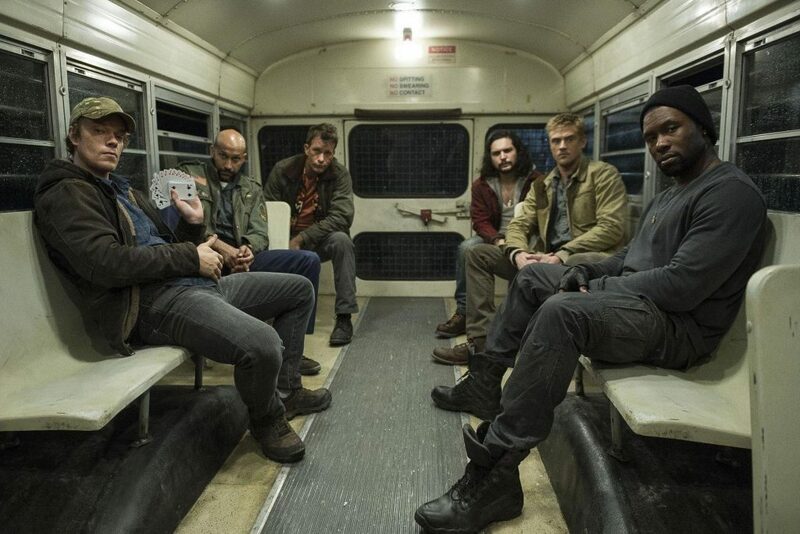 It takes The Predator 40-45 minutes to let the audience know what kind of movie it is although I don’t think it even knows what type of film it is at any point during it’s 2 hour run time. At first it screams sci-fi fantasy – with its Star Wars-esque opening score and it’s CGI’d alien ship. Then it’s a black comedy with severed human limbs doing thumbs up for a cheap laugh. Then it’s a buddy comedy with this slapdash group of “hilarious” misfits being forced together to save the day whilst making dad jokes and completely awful comments about mental health sufferers (failed suicide attempts are hilarious, tourettes is hilarious, using the term “retard” to refer to someone with autism, without the smallest sense of irony, is hilarious). This comedy adventure part of the film goes on a bit too long and you forget what movie you are actually watching. Then suddenly we have Predator Dogs! Which are basically the 4 legged demogorgons off Stranger Things. Fortunately these alien dogs have the exact same behavioural patterns as Earth dogs – phew! Threat neautrilised. Fetch! Good evil Predator dog. Roll over. At one point it feels like Ghostbusters, then back to Stranger Things, then Grown Ups and then finally there are a few tiny moments that are graphically violent and action-packed which actually feel like they belong in a Predator film. Sadly by this point however, the film we are watching is so diluted in genres that the violence actually seems out of place. That’s right. The violence now feels out of place. In a film called The Predator. Now some of you may be thinking that a film that mixes Ghostbusters, Strangers Things and Predator (purposely leaving Grown Ups out of this analogy) would be amazing. Sure. Maybe if the director had the vision and skill to make such elements work together instead of against one another. Sadly, much like how putting tequila, tomato sauce, peanut butter and sausage rolls into a blender is not going to taste good (unless someone like Gordon Ramsey was head chef) so too does The Predator leave a bitter taste in your mouth due to the inadequacies of the director. Fans of the franchise might get a bit of nostalgic pleasure out of it but I have a feeling that the horrendously awful script, weak performances, bad pacing and bad jokes will leave them wishing that Iron Man 3 was all they had to complain about when it came to Shane Black. And honestly – again – its commentary on mental health and the way it uses autism as a plot device is horrendous.